There’s everything from traditional castles to swish hotels, marquees to rustic barns to whet your appetite at Bride: The Wedding Show at Tatton Park in Knutsford on February 6 and 7, 2016. Whatever sort of wedding day you have in mind, there will be a perfect venue for your special day. Whether it’s a small, intimate occasion or a high-profile wedding you are planning, keep an open mind when choosing your venue. Bring a list of what you want to achieve and the questions you need to ask. Here is a selected showcase of five very different venues that Bride: The Wedding Show at Tatton Park has to offer. Fancy a wedding abroad or love the sea? A yacht wedding can provide a perfect, tranquil setting for a wedding. Exclusive Yacht Weddings are specialists in beach and yacht weddings in Cyprus, whether it’s a small gathering or a celebration for up to 150 guests, they aim to create a wedding that will be remembered forever. Exclusive Yacht Weddings can arrange everything for you from paperwork to going back to your hotel, or as little as you want. 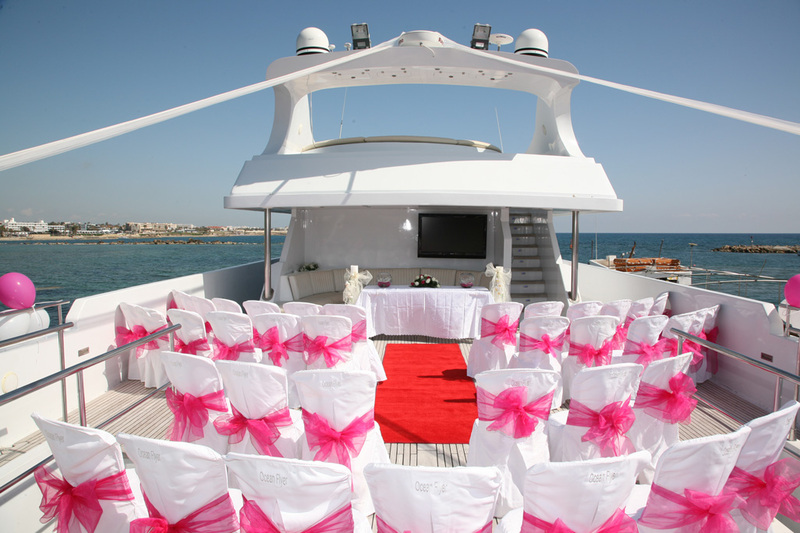 They offer a range of different yachts and packages and you can even have a beach wedding before. Find Exclusive Yacht Weddings on stand 212. If it’s a fairytale wedding you have always dreamed of, you can make the dream come true with a castle wedding. Ruthin Castle is steeped in history and nestled in acres of parkland beside the Clwydian range in North Wales. With reception and banqueting rooms that cater for the small to the very large they have an array of packages to choose from, they even provide medieval costume hire. Find out more from Ruthin Castle on stand 123. If you looking for a natural, outdoor wedding, then tipis are the new marquee, unique, spacious and versatile they are a great alternative for any event all year round. All About Me pride themselves in delivering the best customer service and bespoke events for your individual needs and budget. Currently operating in Chester, Cheshire, North Wales and the North West, they provide tipi hire and deliver event management services nationwide. Meet All About Me Marquees & Events on stand 117. If you’re searching for a versatile space that still looks impressive, then a grand house is always an idyllic setting. Unlike other wedding venues, they often have the benefit of making the venue exclusively yours throughout the day. Colshaw Hall is surrounded by beautifully-maintained gardens, making it the ideal location for a grand celebration or wedding breakfast. There is a range of different rooms, such as the hall, gardens, Peel Suite, cottages and Stables ceremony room complete with limestone floors and oak beams. Alternatively you can tie the knot in the grounds for a truly romantic event. If this sounds like your perfect venue Colshaw Hall will be in on stand 213. If you are planning a rustic, vintage theme to your wedding, a barn wedding can offer that country feel, with the added advantage of supporting local farmers. Barn weddings are becoming a popular for weddings. Owen House Wedding Barn is located in heart of Cheshire countryside. 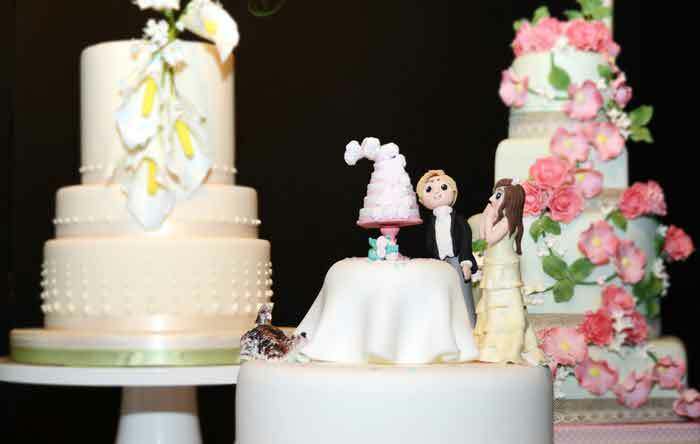 It is a family-run business that prides itself in offering a truly unique wedding experience. Converted in 2013, the barn holds a rustic, countryside charm that looks great in photos. They also have farmhouse B&B which can be booked exclusively for you and your guests. 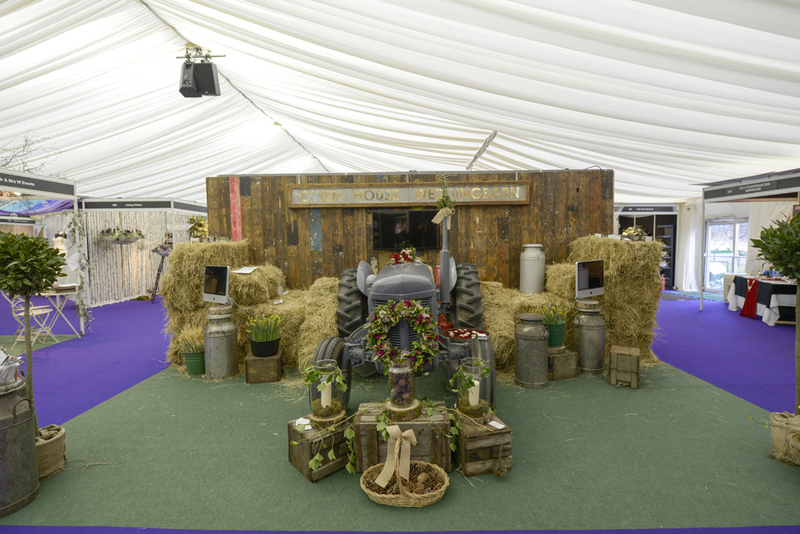 Find Owen House Wedding Barn on stand 314 where they will have a tractor on display. 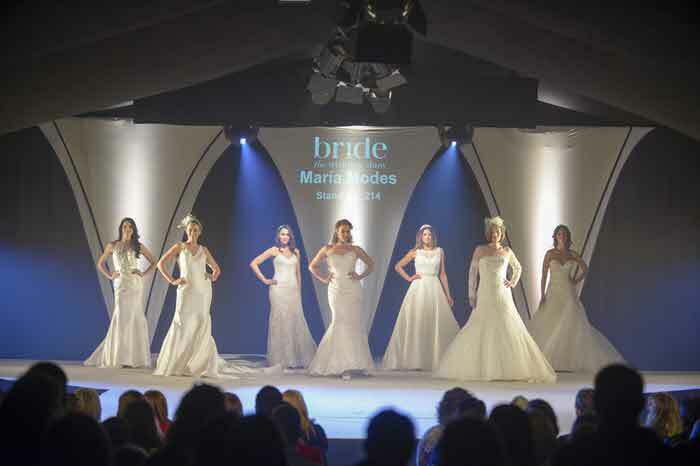 Bride: The Wedding Show is returning for its 14th year on February 6-7, 2016, to Tatton Park, Knutsford, Cheshire, WA16 6QN, from 10am to 5pm. The beautiful marquee will display more than 150 of the region’s finest wedding suppliers, there will be spectacular choreographed catwalk shows four times daily, band performances on the performance stage and a fully-dressed marquee area complete with laid tables and bar area so you can envisage your own wedding party. Tickets cost £10 each, £36 for a group of four or £15 for a VIP ticket in advance, which includes a glass of fizz, a guaranteed seat at one of the fashion shows and a goody bag. Tickets cost £15 each on the door. Buy your tickets in advance here. Normal Tatton Park car park charges apply. See www.tattonpark.org.uk for details.